are some of the shops where my quilts are displayed. 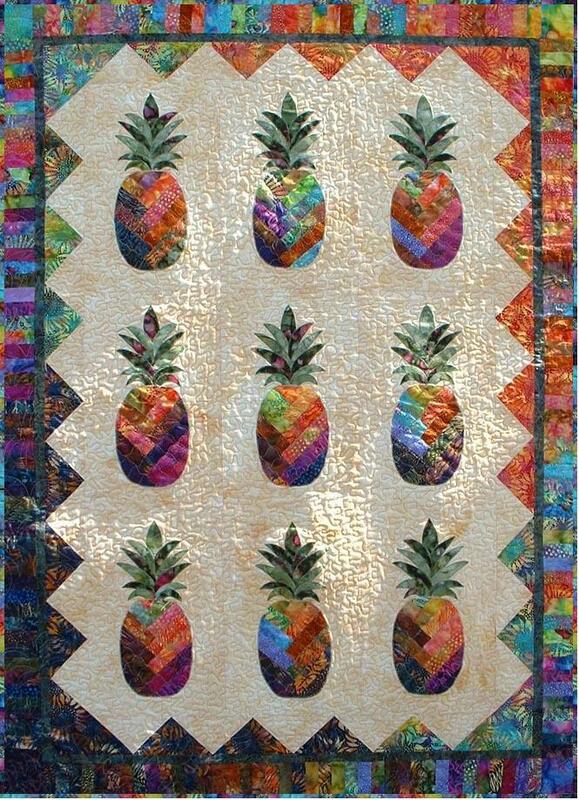 This fun project features a pineapple motif - a symbol of hospitality and wealth. It is pieced and machine applique and perfect for all those gorgeous batiks. Finish size is 42" x 62"
Finish size 58" x 72"
enchanting beauty of the Hawaiian Islands. and pieced panels and tabs. ​ A one of a kind heirloom. Finish size 19" x 40"
on this adorable table runner/wall hanging. RETAIL PRICE IS $8.50 PLUS $1.50 SHIPPING. It measures 39" x 44". Finish size is 48" x 60". Aloha Christmas stockings - Flip Flops and turtle designs are in one pattern. and Hibiscus and pineapple come as the third pattern. to order patterns or ask a question. Aloha Christmas - tree skirt or it would make an adorable baby quilt. can be made 36" or 42" diameter.